Home > Microsoft > What apps and games does Microsoft want to convince us that their mixed reality is better than virtual reality? What apps and games does Microsoft want to convince us that their mixed reality is better than virtual reality? The great update of Fall Creators Update for Windows 10 is already among us, and among its many novelties we find its first steps in mixed reality. Microsoft has boasted much of its mix of virtual and mixed reality, and has even partnered with several manufacturers to launch a whole range of devices to consume it. However, there have already been some critical voices that have accused this technology of not supposing a change that is too significant with respect to similar ones such as virtual reality. 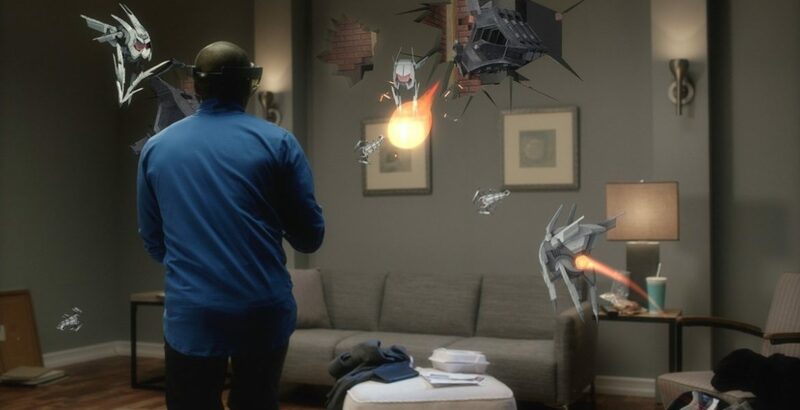 Therefore, we will review the applications and games with which Microsoft is trying to give strength to its mixed reality to see to what extent it manages to differentiate itself. Microsoft has its own “glasses” of mixed reality, some Hololens that are already proving useful in some professional fields, but that move away from the users on foot with a price of starting at $3000. Manufacturers like ASUS, Acer or Lenovo are preparing several glasses with much more affordable prices. However, much as they are finally covering the area of ​​hardware dedicated to this technology, it is bound to fail if users do not encounter a rich software ecosystem. Hence, it is interesting to review what they are offering to see to what extent they can convince us that their technology is superior to others such as virtual reality or augmented reality. First, we have the applications that Windows 10 brings pre-installed from the Fall Creators Update to take advantage of the mixed reality. This is the ‘Mixed Reality Portal’ and the ‘Mixed Reality Viewer’, which become the first point of contact for users with this technology. The mixed reality portal, for example, is a startup application in a virtual environment quite similar to the one you can find in basic virtual reality experiences such as the Samsung VR glasses. Simulate a room in which you can go running applications in different areas, and you can change the environment by adding objects and furniture. But all this does not stop happening in a virtual one hundred percent environment, so we can not consider it completely mixed reality. It is expected that when new applications arrive that take more advantage of this technology, things may change, but at the moment it is not a very solid argument to convince us of the supposed superiority of this type of digital reality over the rest. And then we have the ‘Mixed Reality Viewer’, which allows you to take 3D models and incorporate them into a real environment using a device and the camera that is implemented. Come on, if you point to your room with the tablet camera you will see it on the screen, being able to incorporate virtual objects in it through the application. The application has a catalog of 3D models that you can access, and allows you to interact with those you download by moving them and reviewing them at your whim. Then, using your tablet’s camera or even your computer’s webcam, you can see the real environment on your screen and put the three-dimensional object in your room … or on your shoulder. In any case and despite the fact that this application can be an interesting base for companies like IKEA to allow us to use with it the objects of its catalog, it is still an augmented reality application, so it lacks the other of the two legs necessary to consider it a mixed reality. Therefore, in one of the applications we only use virtual reality and in the other the augmented one. However, the grace of virtual reality is precisely that, the power to use applications that are both augmented reality and virtual in a single system. That means that although these two applications alone are not enough to convince the superiority of Microsoft technology, they do provide an interesting basis to demonstrate that mixed reality can bring together all the advantages of the augmented and virtual. A base on which now the rest of the developers will have to build. 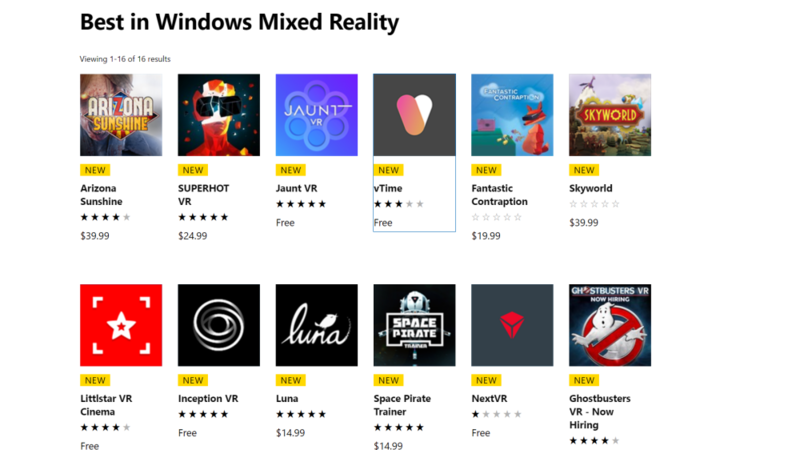 Microsoft has a page dedicated to its applications of mixed reality for Windows 10. The selection calls it “the best of mixed reality”, and it is its attempt to convince us of what its technology is capable through third-party applications. However, once again it does not seem that there are enough arguments to convince anyone who may be thinking about buying glasses right now to consume this content. 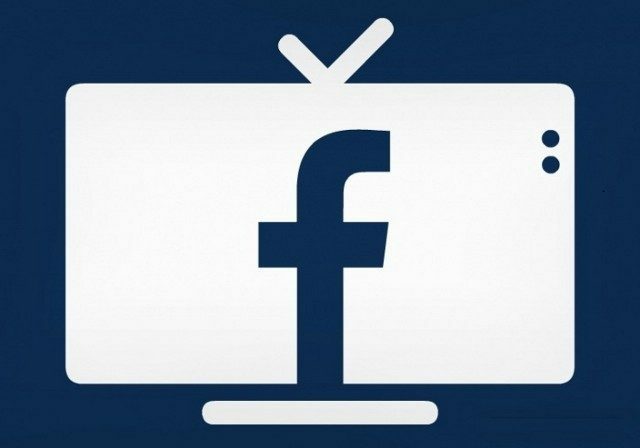 Most applications are free, and are limited to offer simple experiences: several of them are retransmission of content for which, sometimes, you will have to pay. In that direction NextVR moves for the retransmission of events through videos in 360 degrees, the same as Inception VR, Jaunt VR or Littlstar VR Cinema. For having you have up to Hulu VR, an app to see 1000 of its series and movies in virtual environments such as movie theaters or rooms. However there are two free applications that do seem to have something more potential. On the one hand there is vTime, a social network where you can make virtual hangouts with your friends in different landscapes around the world, including your own photographs. 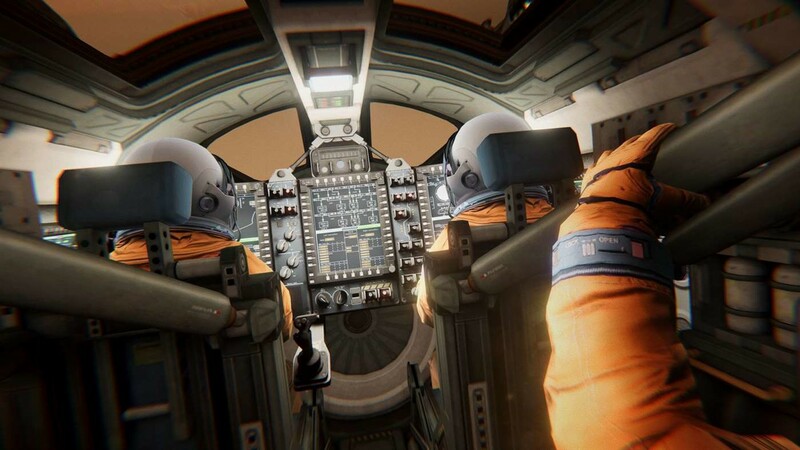 And on the other hand we have Hello Mars an immersive experience of Martian exploration, in which you experience in first person what a landing on the red planet would be according to NASA data. Regarding the content of payment, except the underwater virtual experience theBlu: Season 1 we can say that most are games that show us the best and the worst of this technology. A rather negative example is Ghostbusters VR, based on the Ghostbusters movies and in which you can do little more than move around in the virtual settings of the movie and interact with some of the ghosts. There are also simple titles like Luna, almost an experience with a puzzle in which you experience the journey of a bird, or the game of construction and puzzle solving Fantastic Contraption. And there are also more ambitious alternatives such as Skyworld, a virtual fantasy world that you can design in your own way like mythical city simulators. As it could not be otherwise, shooters are also present with simple (albeit slightly expensive) titles like Space Pirate Trainer or Superhot VR, and a much more ambitious Arizona Sunshine in which you face in the first person the post-apocalypse zombie. And if you are looking for something deeper, FORM is an adventure in which you move in science fiction scenarios interacting with objects from the environment. All in all, this small catalog demonstrates, as we have said, the strengths and weaknesses of the mixed reality of Microsoft. To begin with the negative, at the moment there are very few applications and games adapted, and those that are slightly remarkable are excessively expensive. This poor catalog undoubtedly penalizes all technology. However, some of the most original ideas such as the virtual social network are an example of the potential of mixed reality. The only thing that would be necessary is that in these experiences there would be more augmented reality, because in this way promontory is not able to differentiate itself too much from other virtual reality proposals. 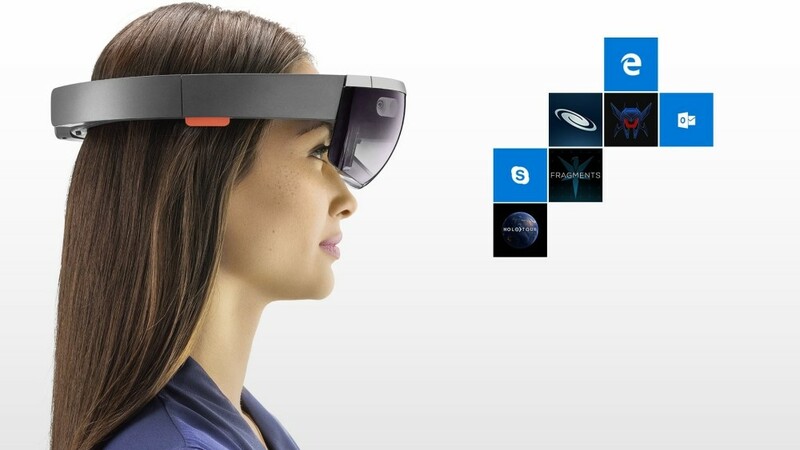 But the great secret weapon of Microsoft in the fight to achieve the best digital reality are its Hololens. These have a much higher repertoire of content to quality, although in this case it is totally exclusive. That means you can only access it through the Hololens and not with any other augmented reality device. With these applications we can, for example, navigate inside the human body or turn your room into a galaxy sample in order to explore each of its corners. There is also a specific application to plan how you will decorate a room and another with which you can see holographs of YouTube videos on real surfaces. You also have an application developed by St. George’s University of London to explore an exact replica of the human heart, visualize a western town in the middle of your room, or even interact with a life-size virtual character. You also have design and drawing applications to create virtual works in real environments. Many of these exclusive applications for Hololens are really attractive not only for all the possibilities they offer, but because most of them are free or have much more affordable prices than generic ones. 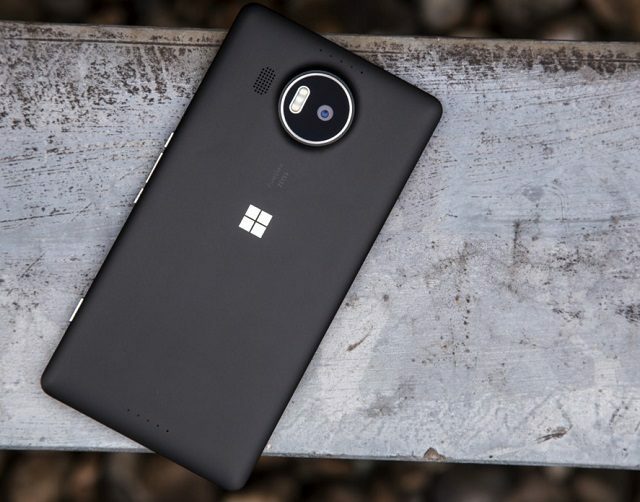 But the problem is that in order to use them you have to first spend between $3000 and $5000 on the Microsoft device. The conclusion we can draw is that the mixed reality is on the right track. They just opened it in the last major update of Windows 10 and that the non-exclusive applications for Hololens are still few and poor. But the catalog with which some Hololens have already been pampering for months speaks a lot and well of the possibilities we could have when these and other applications are open to all. 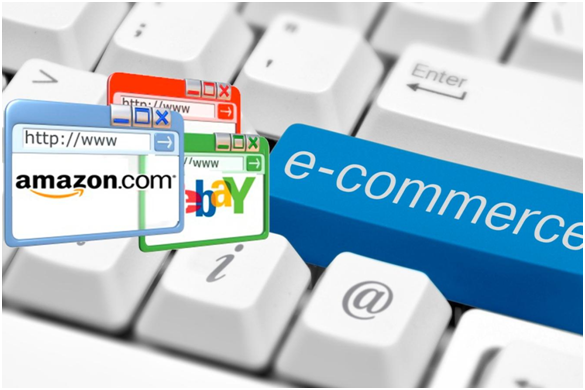 Another key aspect of this technology is the fact that it is implemented directly in an operating system already used by millions of users. This should encourage developers considerably more than other platforms that only use the hundreds of thousands that have purchased a particular product. However, in the current open catalog there is still a hard application that clears all doubts about the mixed reality. It is also true that at the moment the mixed reality of Microsoft is too similar to the virtual reality of any other platform. However, there are also enough augmented reality apps to be able to make us aware of the possibilities of mixing both types of digital realities into one. How many people paid for WhatsApp?